Well, we've been in our new home for just over a week now - we finally got the internet hooked up this weekend and I'm hopeful that I'll resume normal bloggy service shortly. If you follow me on Instagram, you'll have seen a few sneak peeks of our house, mostly of the late summer/early autumn produce we've been harvesting. Our plan at this stage with the garden is to harvest as much as we can, get rid of the weeds/over zealous nasturtium, prune everything back and get it ready for winter. David and I have spent hours in the garden already, and it doesn't even really look like we've made a dent! But we're loving it. As are our ladies - they've been feasting on all the snails we've been finding. 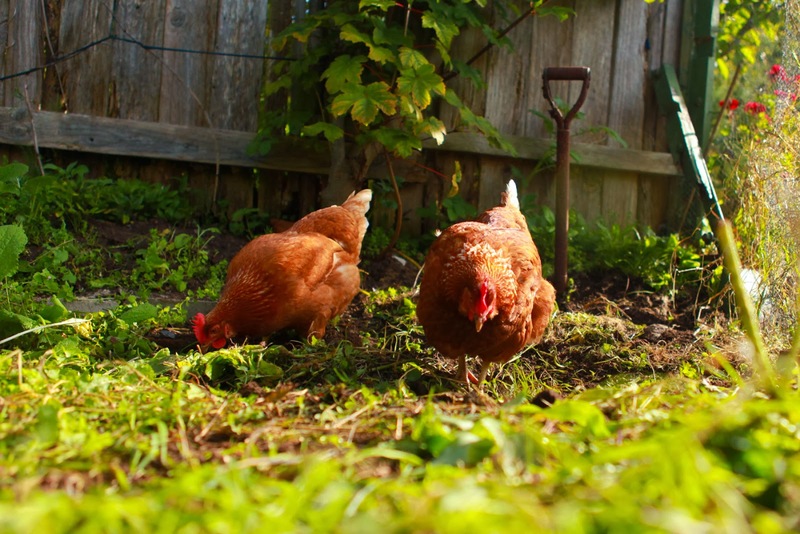 Two of three chickens free ranging in a bit of garden David and I had just cleared. We couldn't catch the third one! 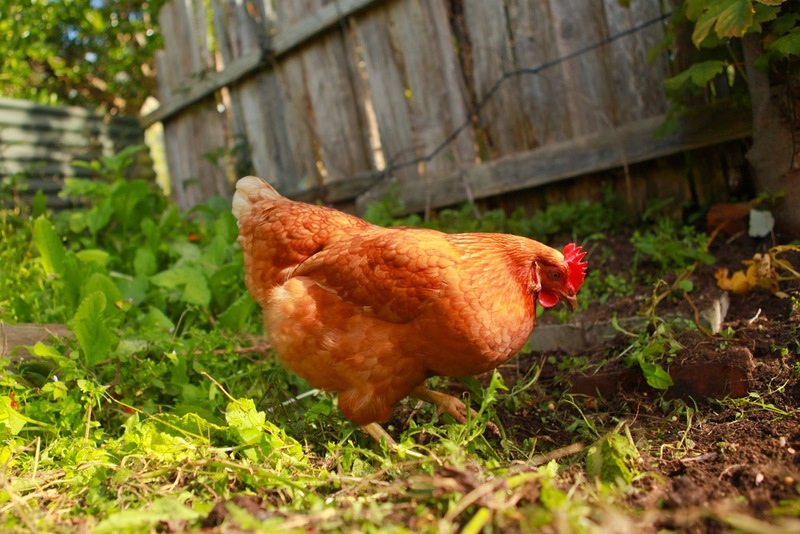 10 comments on "New Home Sneaky Peeks..."
Your chickies are adorable! I'm very impressed that you have your sewing corner all set-up within the first week! I've been in my house for three months, and I'm still unpacking boxes! Yay! Happy new home! 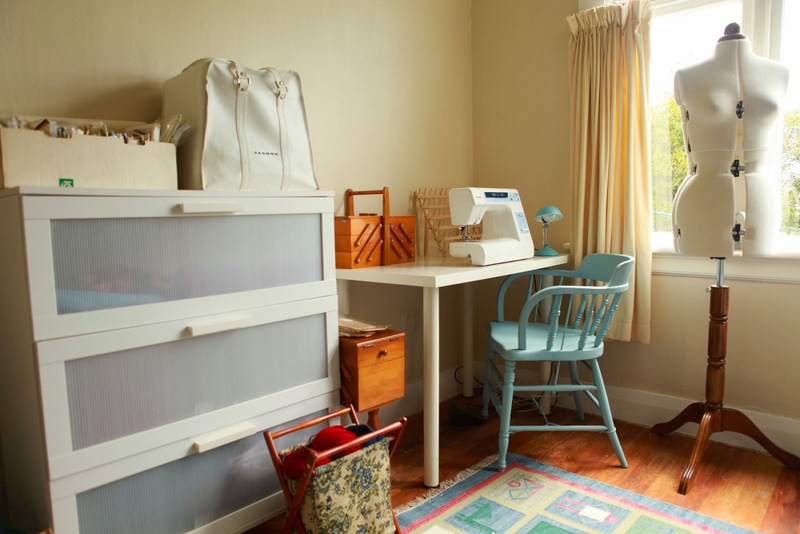 Your sewing space looks lovely! Congratulations on the new home! ^^ From what we can see it looks nice. And I can't wait to see your version of the Flora dress. Love the new home and the girls. All of the pretty Floras that I have seen make me ready to sew it up. Looks lovely! Oh such chicken envy I have! 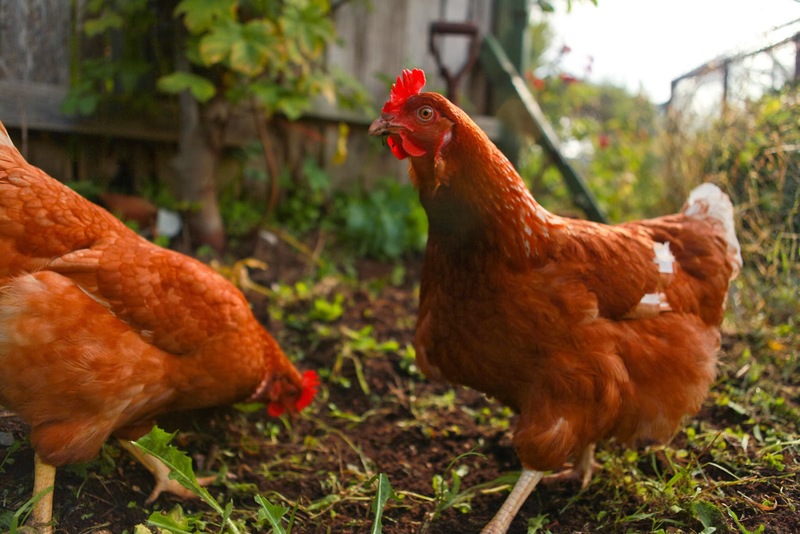 Your chickens are so beautiful! And it looks like you're going to have a very nice sewing room indeed - love that you have that big window. Congrats on your new home, your sewing room looks lovely, light and spacious.